Ahh, relax and get away from the stress and enjoy yourself in our spacious 5 bedroom/4.5 bath home. If more space is needed, please inquire about our 3 bdrm 2.5 bath property adjecent to this home (vrbo #355423)...perfect for extended family or additional friends. Beachwood is located on desirable Indiana Dune and just steps away from the most beautiful beaches on Lake Michigan. This large family-friendly home offers plenty of space for entertaining, both inside and out! 1st floor layout is an open kitchen/living area with large table that can seat 12. 2 Master King suites with en suite bathrooms and deck with partial lake views. Spectacular lake/sunset views from 2nd floor balcony. 2 additional bedrooms with 2 twins in each, great room with 2 full-size day beds and full bath with tub and separate shower. Lower level of the home offers a spacious family room and 3rd private master suite with attached marble/stone bathroom with steam shower. 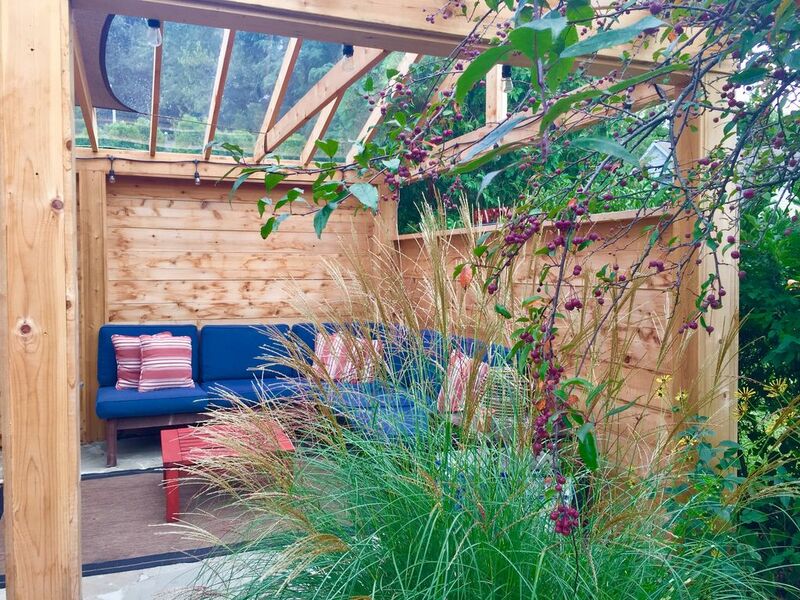 Relax in our lovely landscaped backyard which includes a large covered pavilion, perfect for al fresco dining (even in the rain!). Or stretch out on the sectional sofa while drinking your morning coffee or sipping an evening cocktail. 7-night minimum stay during the Summer Season (June-Late August) and 2-night minimum stay the remainder of the year. Chefs kitchen fully stocked with everything you need to prepare fabulous meals. We couldn’t have picked a better place to stay with our growing families. The place was so clean, had everything we needed and was in an amazing location. We will be coming back for sure. Beautiful spacious home right across from the beach! We loved Trish's place! It accommodated 12 girls so well and being right next to the beach was amazing. The beautiful kitchen gathering area was the best part of the house! The beds were so comfy, and the whole house was pristine. Enjoyed showering in the beautifully re done bathrooms with double shower heads. Trish was very accessible and helped us with whatever we needed very fast. Would love to stay again! My family and I had a fantastic week. The home was very spacious and accommodating. It was great!! Amazing as always! Impeccable accomadations! We had a blast! We have been staying here for years, wouldn't stay anywhere else. They are constantly updating the amenities. Great place to gather with family and relax! So glad you enjoyed another stay at our home! We look forward to having you back again next year...or sooner! !